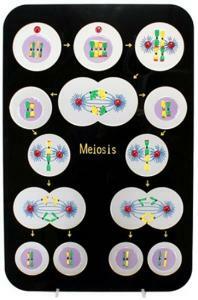 The stages of meiosis are enlarged 1,600X and are highlighted in translucent “windows”, all on one colorful plaque. Each stage is connected by bold arrows so students can easily trace the steps in the process. 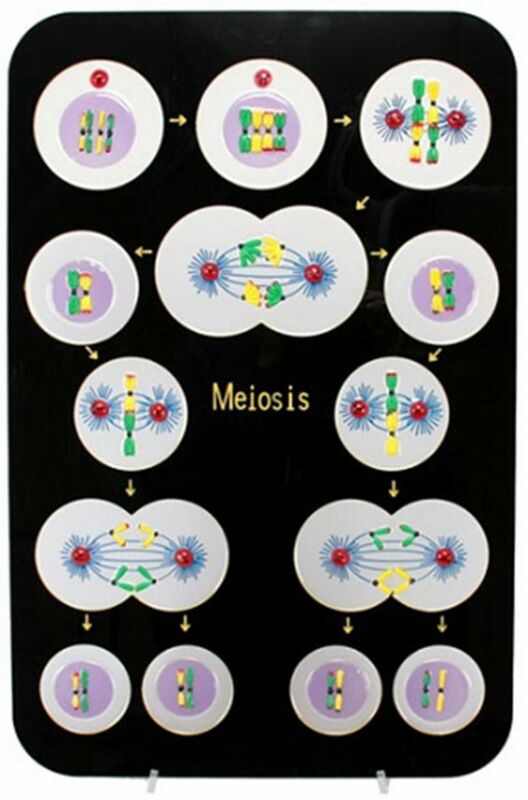 The color scheme is similar to the Animal Mitosis model, so you can use both models to illustrate these two important processes of cell division. The plaque can be displayed in a prominent place in your classroom with the included stand. It comes with a key, identifying the stages of meiosis.